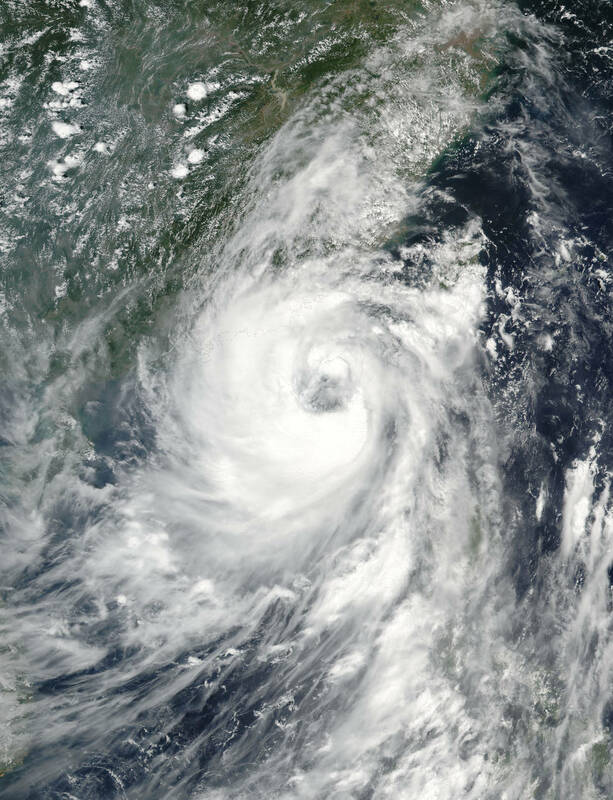 As of Monday morning, EDT, Typhoon Nida is located approximately 110 miles east-southeast of Hong Kong, China. Nida is moving west-northwest at 17 mph. Maximum sustained winds are 90 mph with gusts to 115 mph. Nida will continue to move into southern China during Monday night, local time, likely making a landfall just to the east of Hong Kong. Hong Kong, while not taking a direct hit, will find itself within the eye wall for a time Monday night into very early on Tuesday. Similarly, Nida will pass very close to Guangzhou on Tuesday morning. 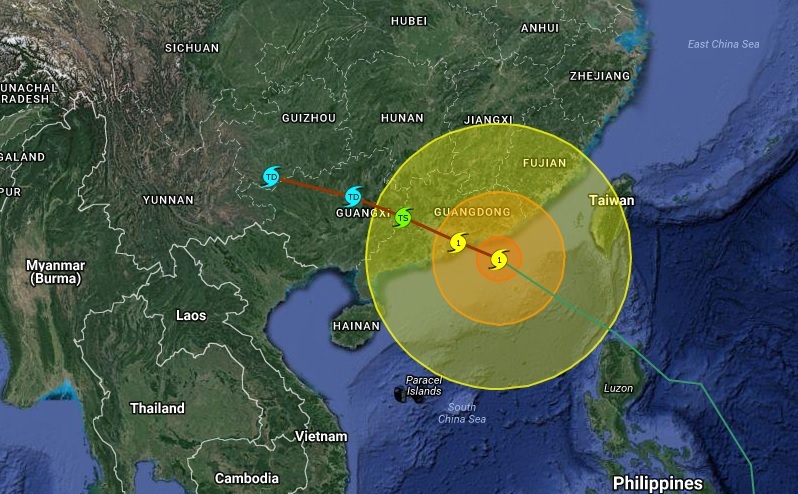 Wind gusts along southern Guangdong province will surpass typhoon force and are expected to peak near 100 mph. The worst conditions will be found between Hong Kong and Shanwei. Moderate wind damage is expected within this area. Once inland, wind speeds should lessen rapidly, and damage will become more isolated. A swath of heavy rain will extend across central and southern Guangdong, Guangxi, southern Guizhou and eastern Yunnan. About 125-250 mm (5-10 inches) of rain will fall across these areas. Flooding is likely and mudslides may occur in the mountainous terrain. Other than Nida, meteorologists are monitoring an area for development to the northeast of the Mariana Islands, though development should be gradual to occur in this area and should not occur during the next 48 hours. By AccuWeather Meteorologist Adam Douty.